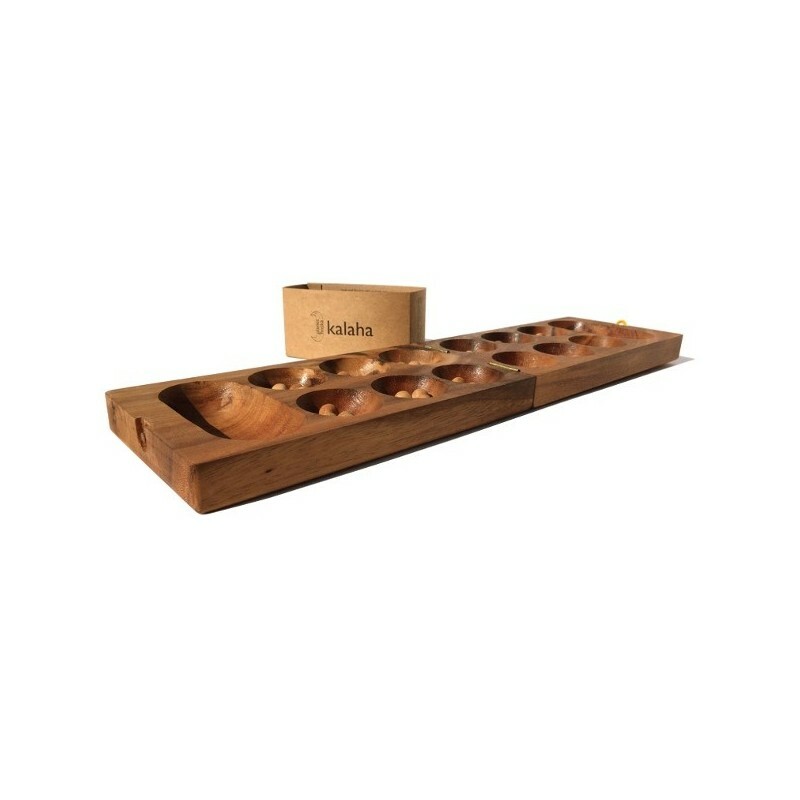 Kalaha is a game of strategy that originated in West Africa. 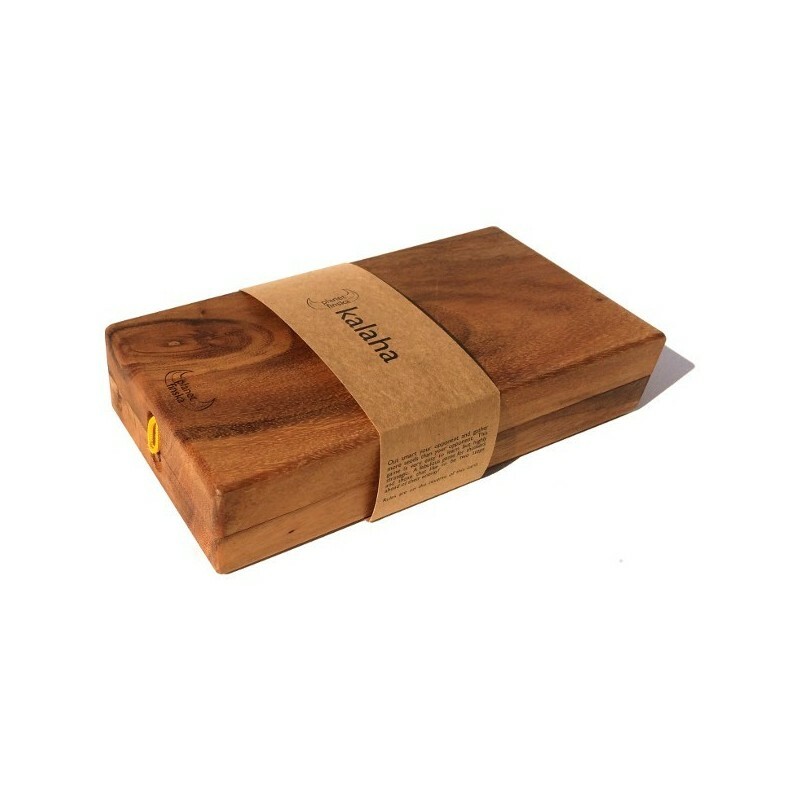 Handcrafted with eco-friendly hardwood. 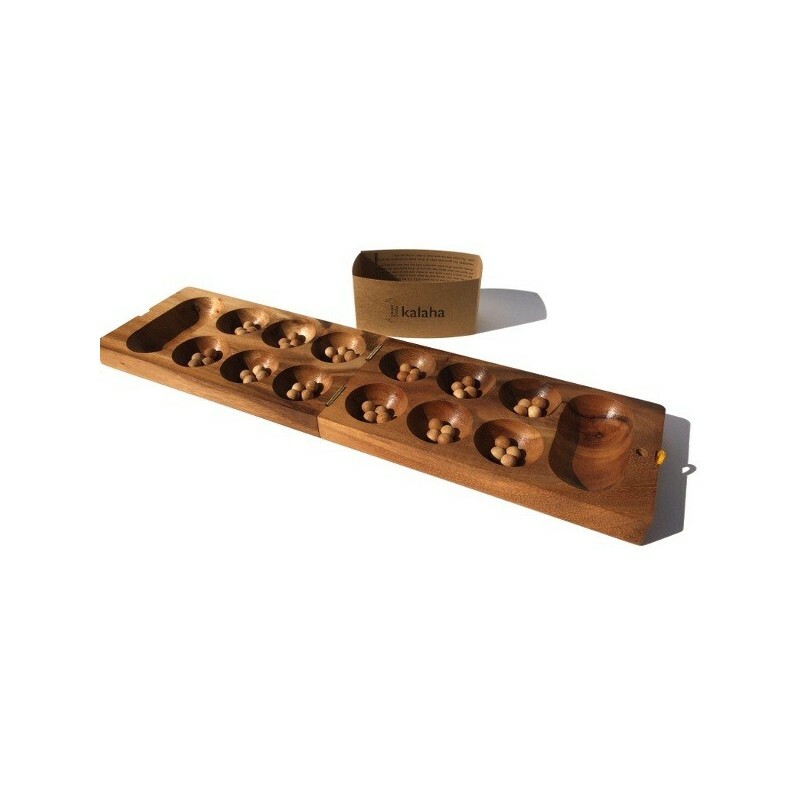 Comes with a game board that folds in half for easy storage. 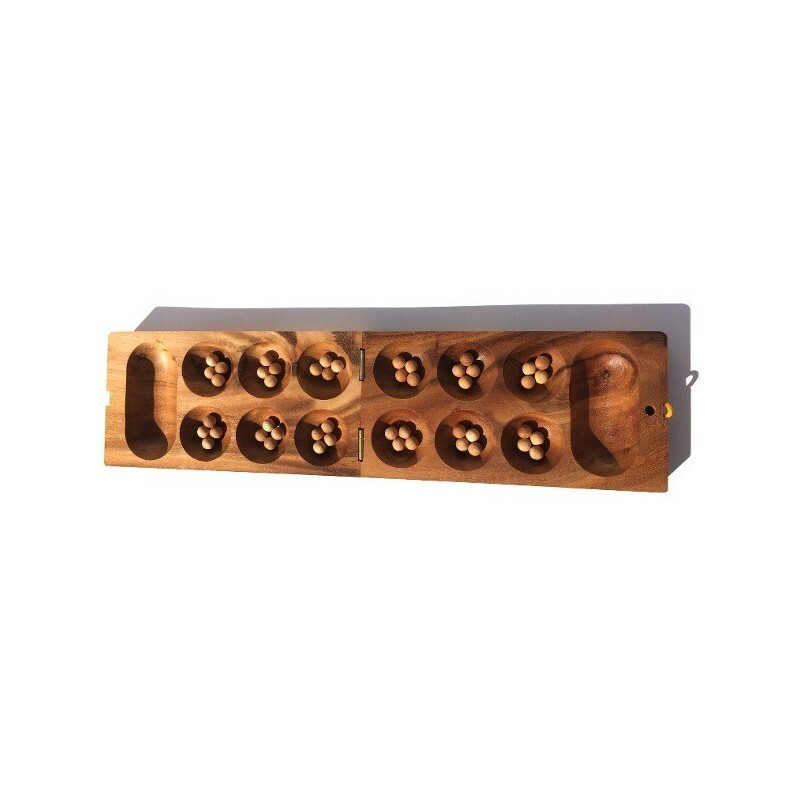 The aim of the game is to outscore your opponent by collecting the most seeds. 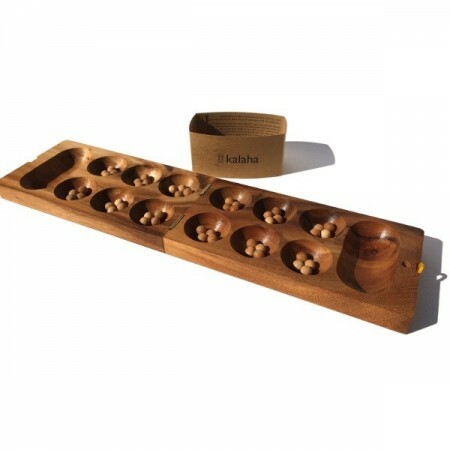 Kalaha has a simple premise that combines complex strategic thinking in order to outsmart your opponent. Famously played throughout many African tribes, said to be around 3000 years old. Board: 24cm x 13cm x 5cm (when folded). Designed in Australia. Made in Thailand.